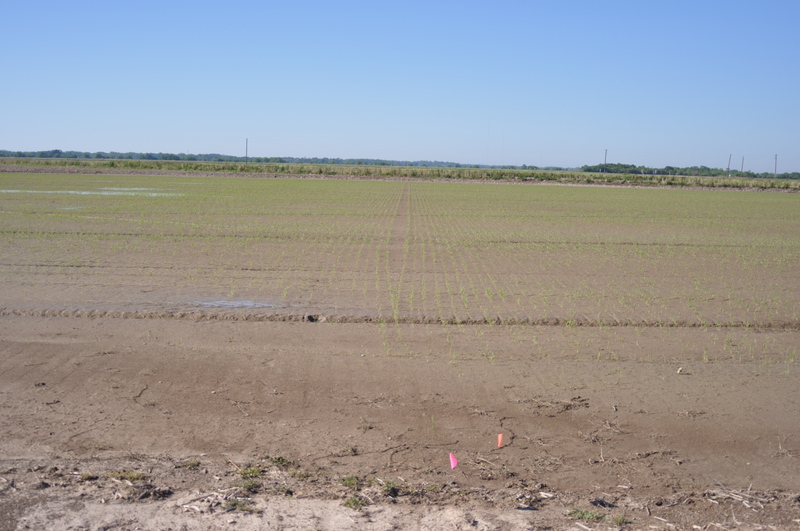 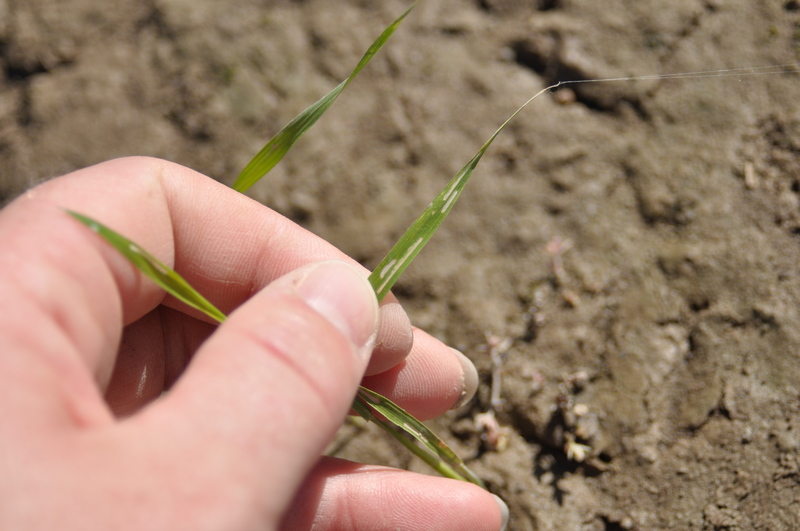 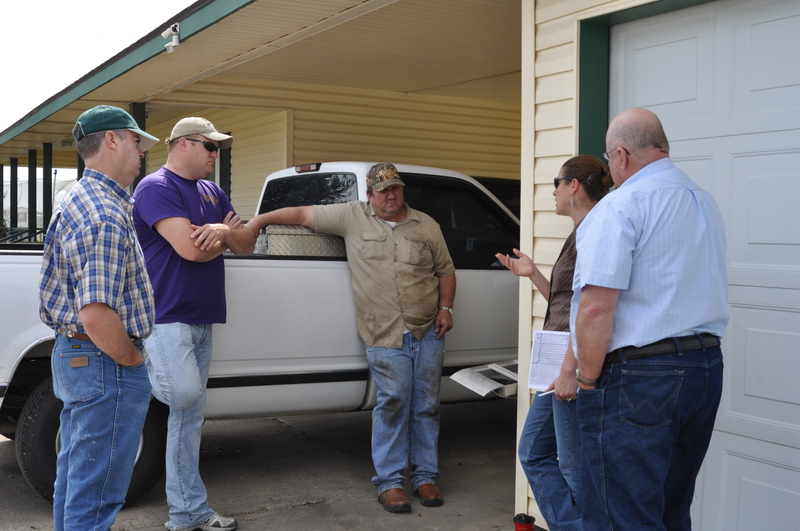 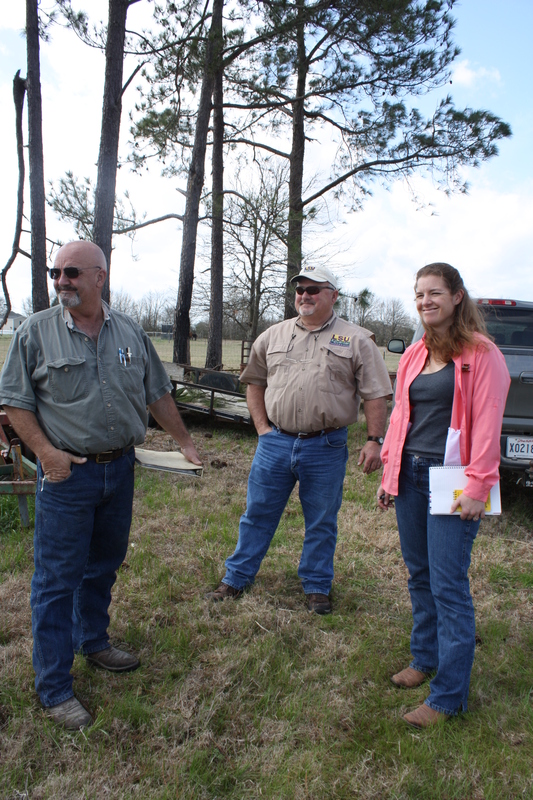 Last week we planted the rice water weevil demonstration test sites in Evangeline and St. Landry Parish. 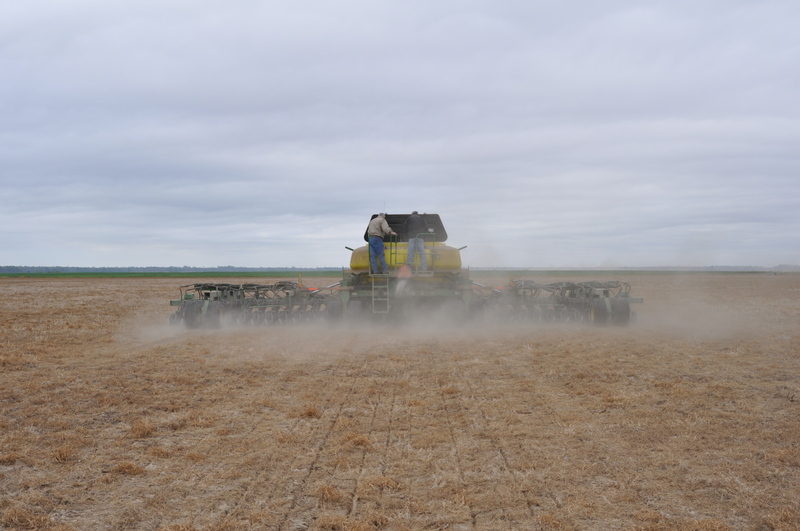 Both locations are the hybrid variety XL745. 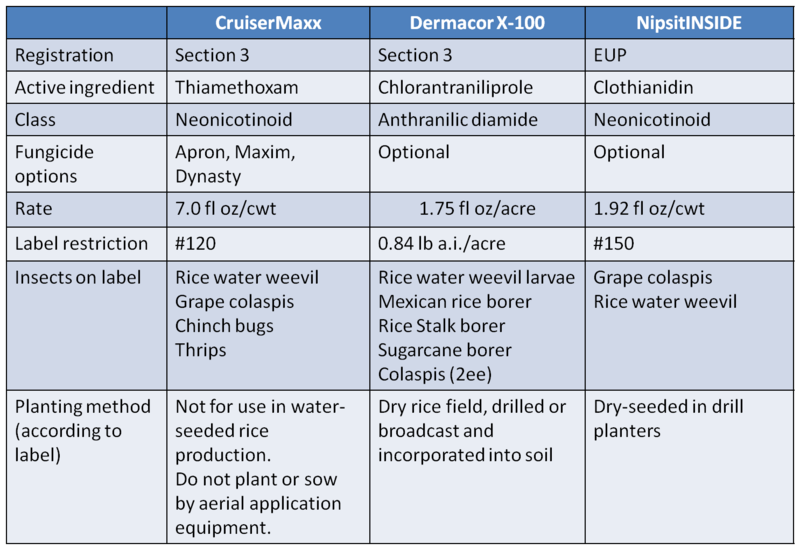 At each location we will be comparing the seed treatments CruiserMaxx, Dermacor X-100 and NipsitInside to an untreated check. 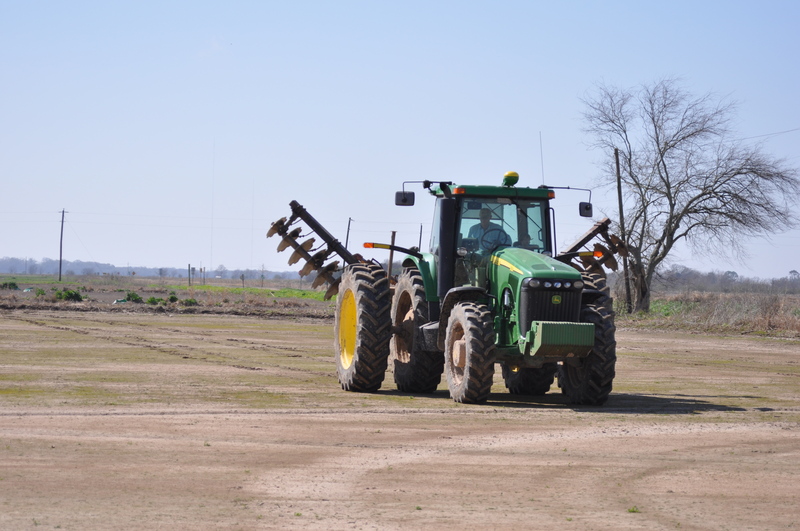 Drilling the strip trial at Fontenot farm in St. Landry Parish.Rice was planted using a 42 foot wide drill pulled by a John Deere.GPS monitoring of planting plots. 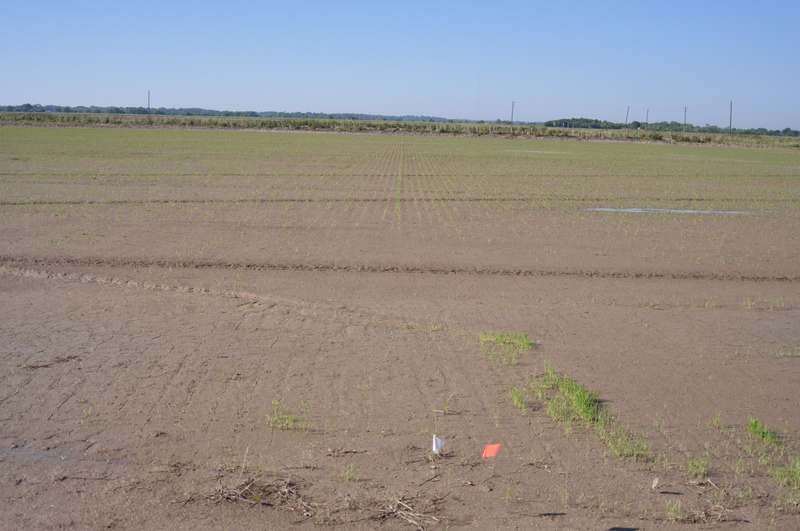 The GPS monitoring system was used to line up each of the strips – each treatment was replicated twice across the field. 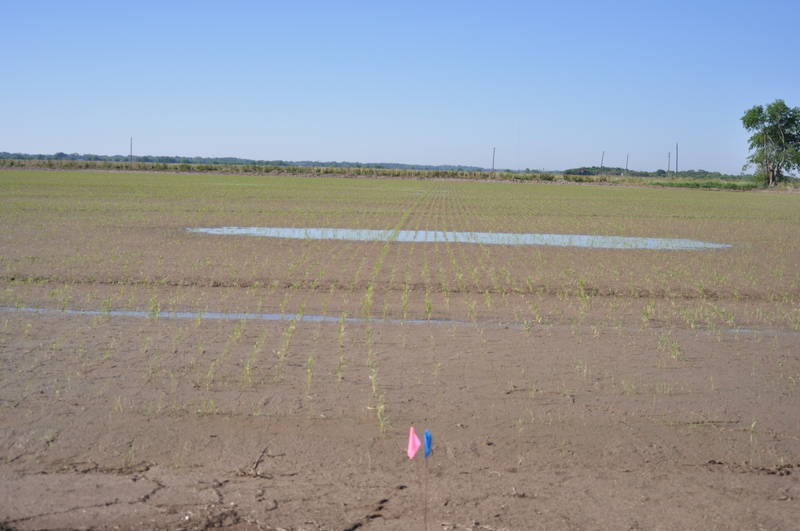 Drill rows in the field. 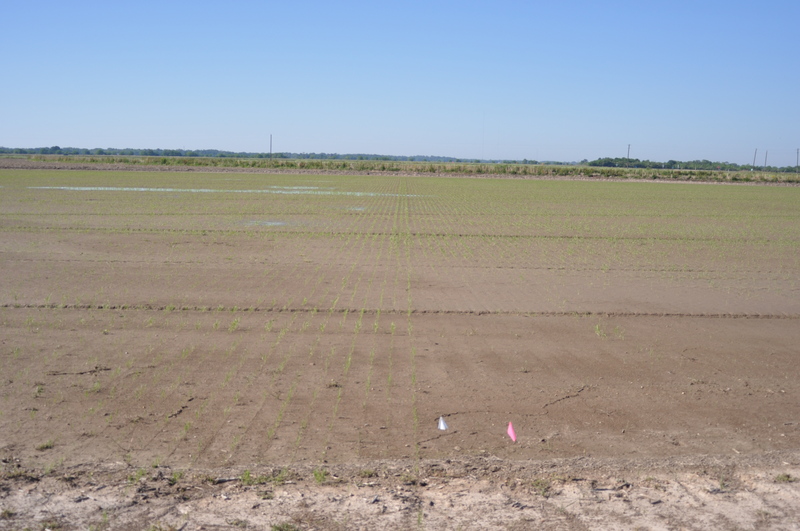 Charlie will be growing 1200 acres of rice this year. 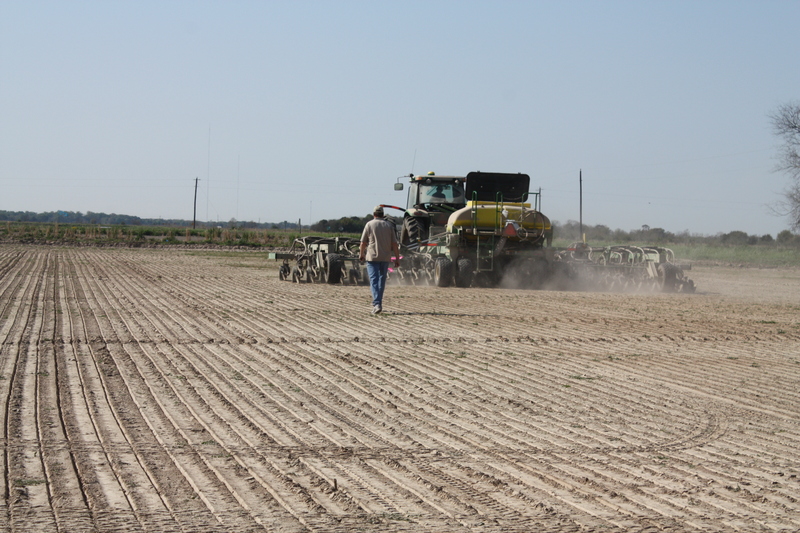 This is the last bit of rice he is planting for this season. 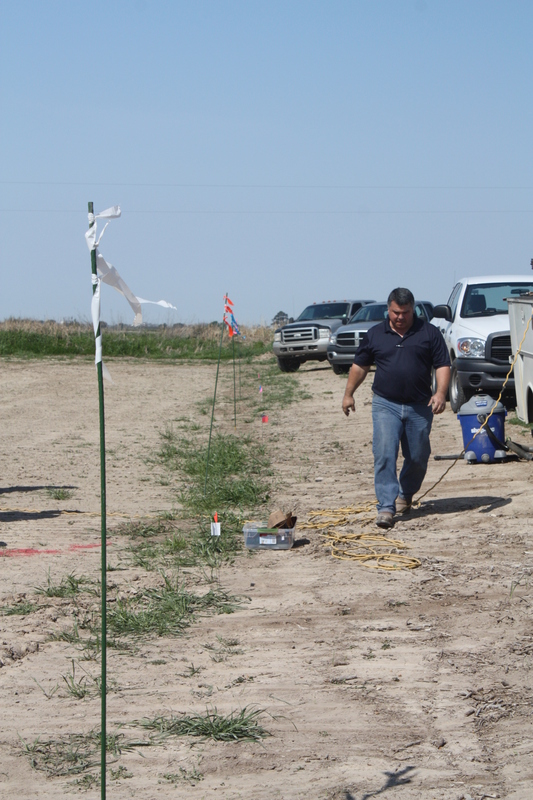 Soil conditions were ideal for drilling. 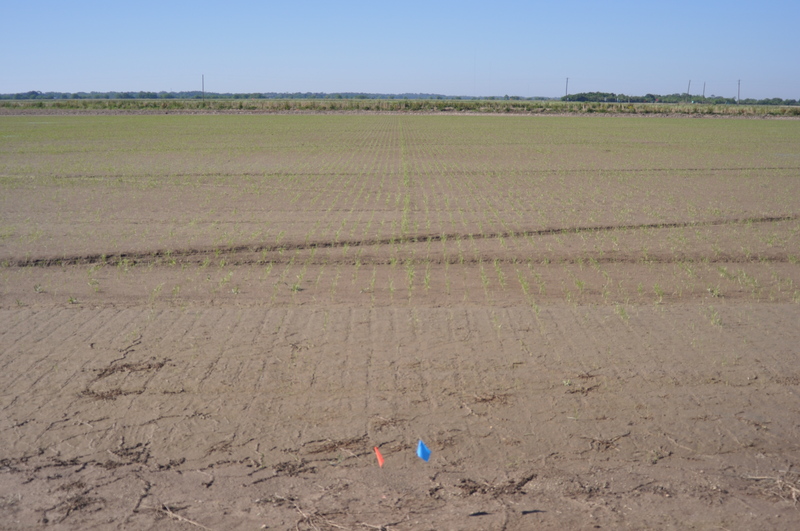 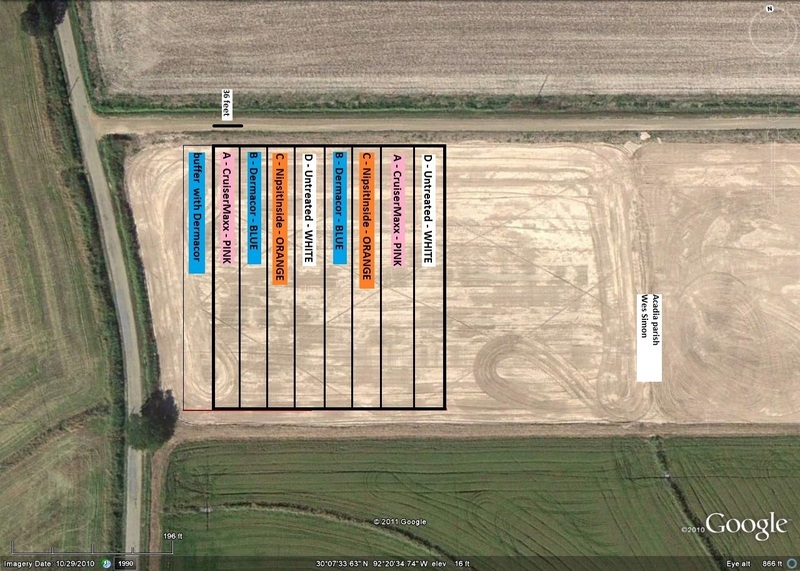 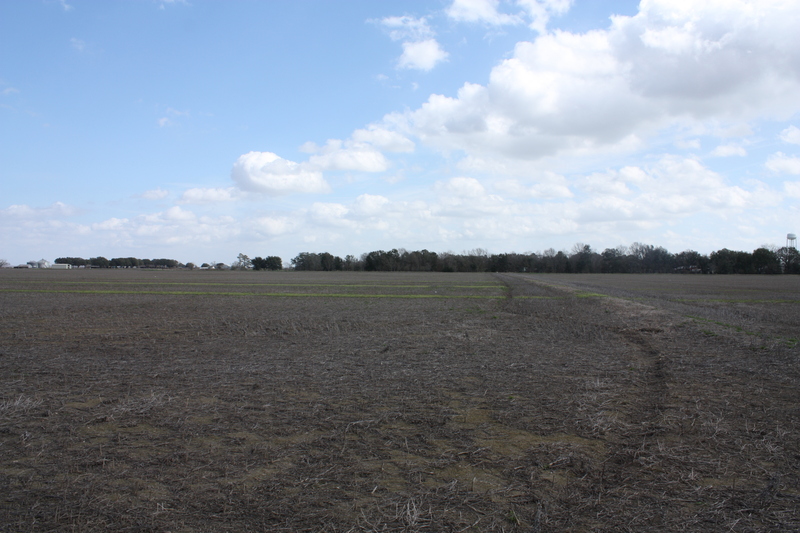 A nearby field has been planted in a Horizon Ag strip trial to evaluate varieties. 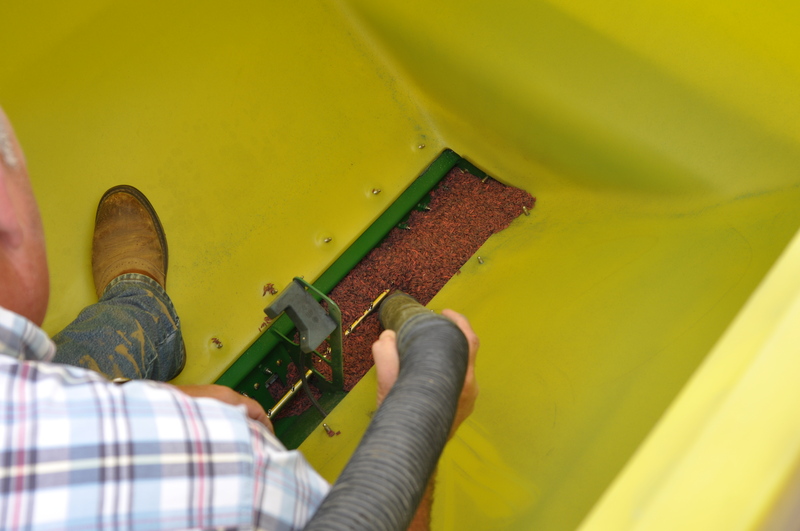 LSU AgCenter County Agent Vince Deshotel vacuuming treated seed out of the drill between treatments. 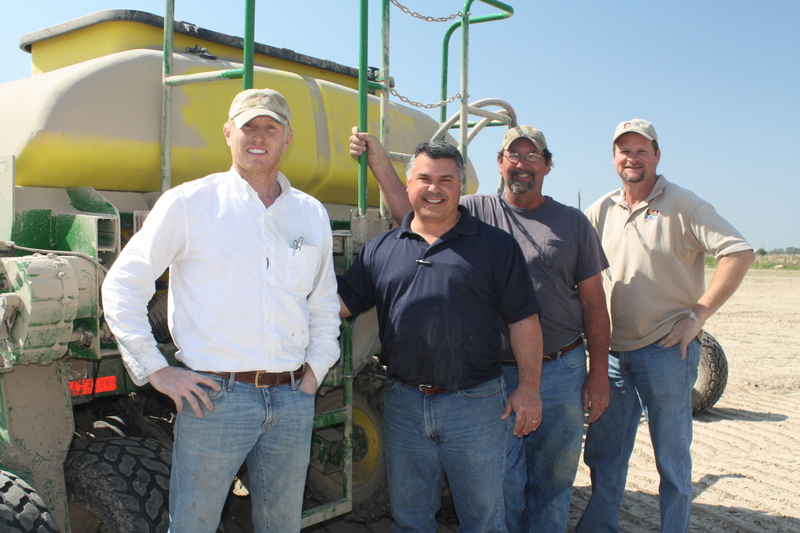 Vince Deshotel vacuumed out the drill between treatments. 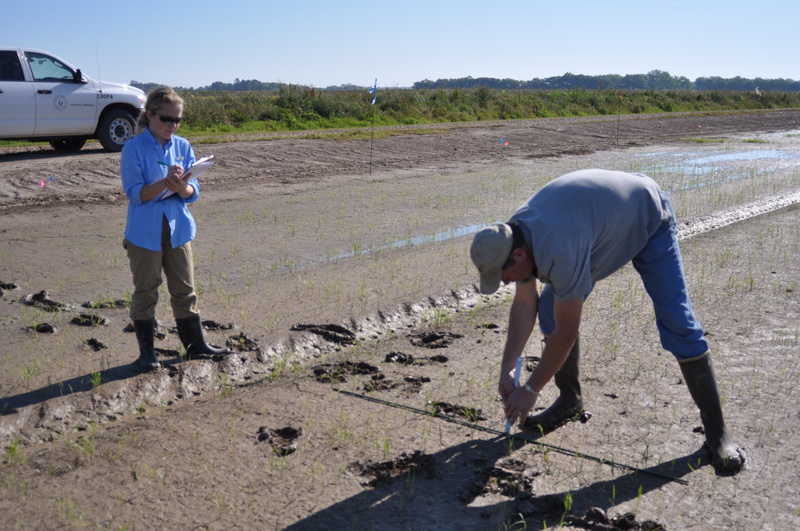 We also gathered seed samples and will send them off for analysis to confirm the rate of insecticide applied to the seed. 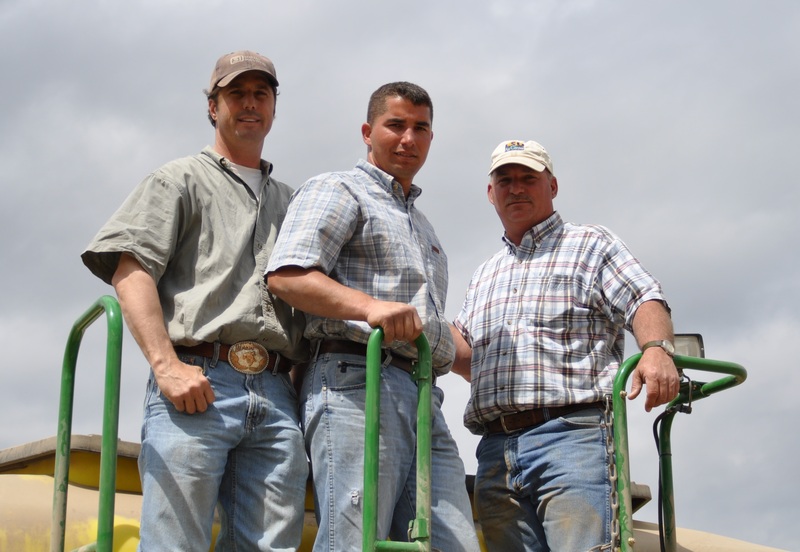 Dean Reed, Charlie Fontenot and Vince Deshotel after successfully planting our test plots. 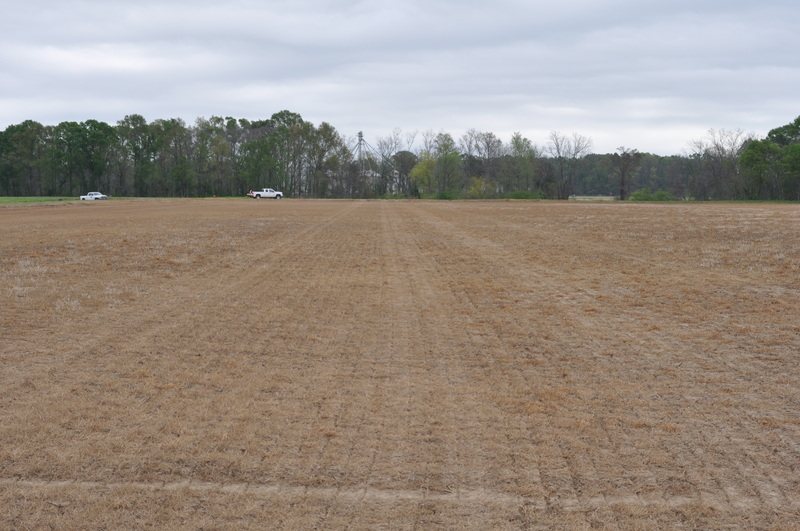 We greatly appreciate the help of Dean Reed, Charlie Fontenot and Vince Deshotel in planting this demonstration test site. 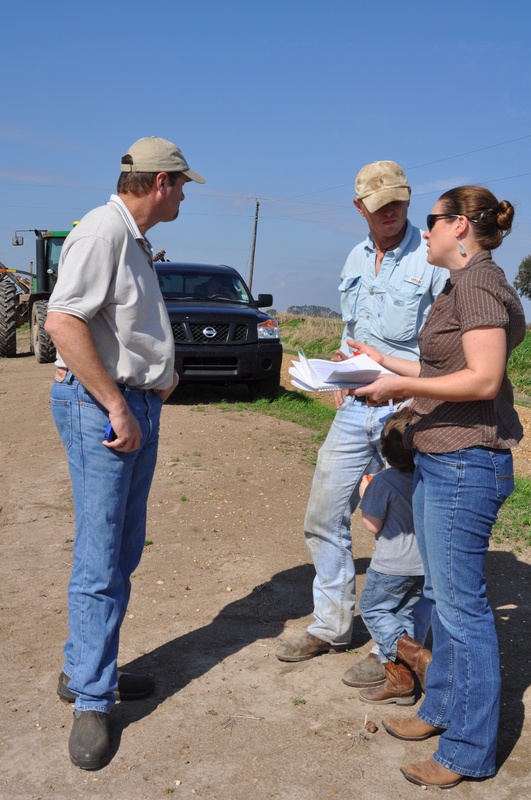 Without excellent on-farm cooperators our programs would lack the depth on “real-world” situations. 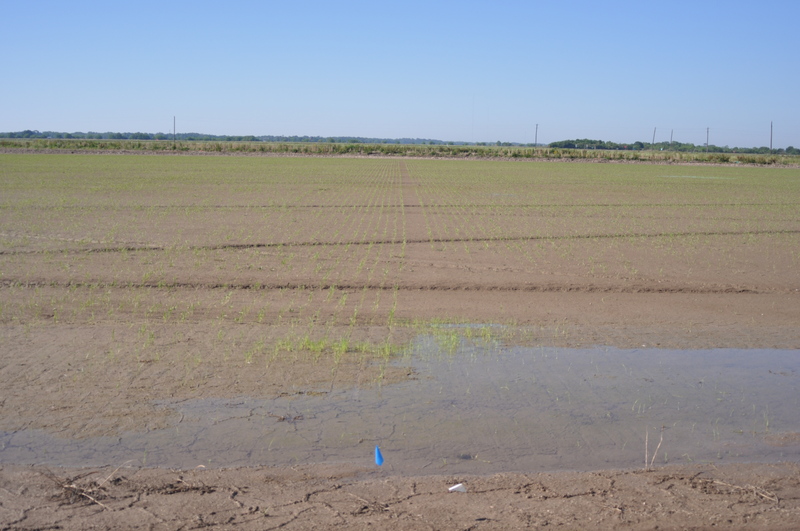 We will let you know when the rice emerges.